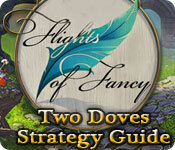 Flights of Fancy: Two Doves Strategy Guide is rated 3.0 out of 5 by 4. Rated 4 out of 5 by JOKER748 from This game is definately for expert players! I liked the game, however, if I would not have had the CE I would have been lost vey quickly. There is way too much going back and forth to places where you would not think to go. I got lost about half way through the game, and from that point I used the Strategy Guide to muddle my way through the rest of the game. There were a lot of odd places to click on, and although I love the graphics, and the scenes were awesome, there was way too much of going back and forth without a clue where to go next. Usually in a game, you can get an idea of what to do next by the items in your collection, or from the action of the last scene. Not this game. It sends you from one place to another that is so far out of order that I would not have been able to find my way without guidance. To me, the two "doves" had so little to do with the game that I don't even understand why it was in the title. I did love the gnome house, the scenes with the flowers and mushrooms, and the fairy is awesome! What I really like about the game is the characters and they are very important to the game. I love the wallpapers and screen savers. The puzzles were ok, most were not too hard, but on one or two I ended up using the "skip" button because I was totally out of my league in solving them. The HOS scenes were mostly good, but even though I got lucky on a lot of items, many of them had little resemblance of what I was looking for. Maybe it was just me, but I struggled through this game, which discouraged me greatly. I bought this game weeks ago, and was saving it for a later time while I played others, and maybe that is why I was so disappointed when I had so much trouble following the story line. It won't keep me from getting more ERS games because I have played many of them before that were great. I rarely rate a game, but I had to put my thoughts down because it is obviously above my level of expertise. I have played these games for a couple of years now, but this is one of those that really frustrated me. 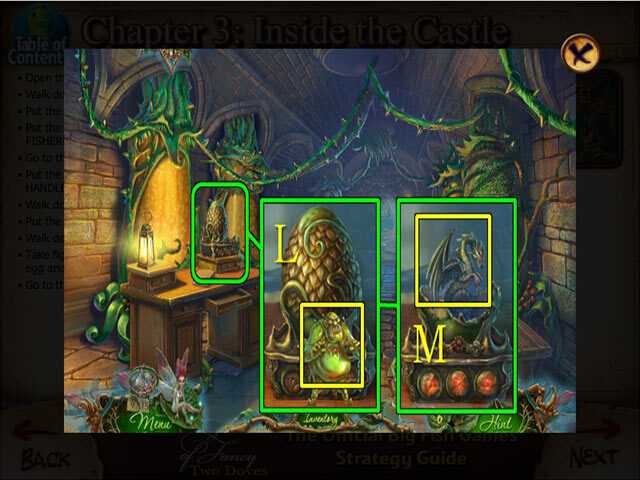 When you have to check out the guide for half of the game, it is like you are not really playing it, but following along the guide all of the time. Also, even following the guide was difficult at times because it seemed that some things were left to your imagination. The hints were quite helpful at showing me where to look many times. Overall, I would still recommend this game to those of you who really like the challenging games. I have a bit of a problem solving things sometimes, and I may have not been quite as astute as others would be on this one. It takes your complete attention and some experience in searching for where to go next; there is a lot of skipping from one new scene back to the scene that is four or five scenes back. Rated 3 out of 5 by CrisC from confusing - took the fun out This game had a lot of backtracking. Probably used the hint button more in this game than I have in the 50+ games that I've played this year. Now stuck in a place where I don't have what I need - no place else to go and the strategy guide (which you have to pay for!) is not available for Mac. Definitely would not recommend for first time players as they'd give up on the genre entirely out of frustration. 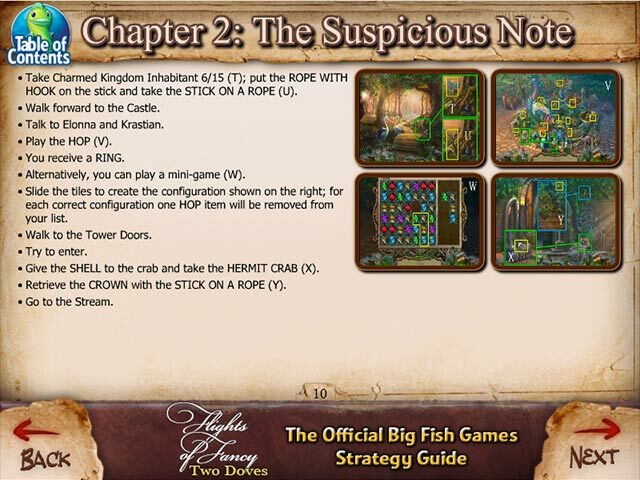 Rated 3 out of 5 by pevensey from Hidden Object Am now totally stuck - each time the hint says no more to be done here and send me away - help! 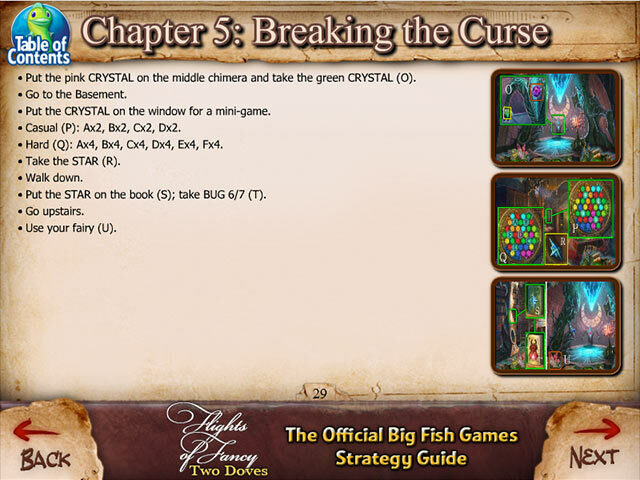 Rated 2 out of 5 by fulltime99 from flights of fancy This game is very confusing, cannot find a walkthrough anywhere and the game itself if not helpful as to how to use the fairy helpers except the hint one. Cannot figure out how to use the magic.fairy. Am so sorry I bought this game it is not fun just confusing.